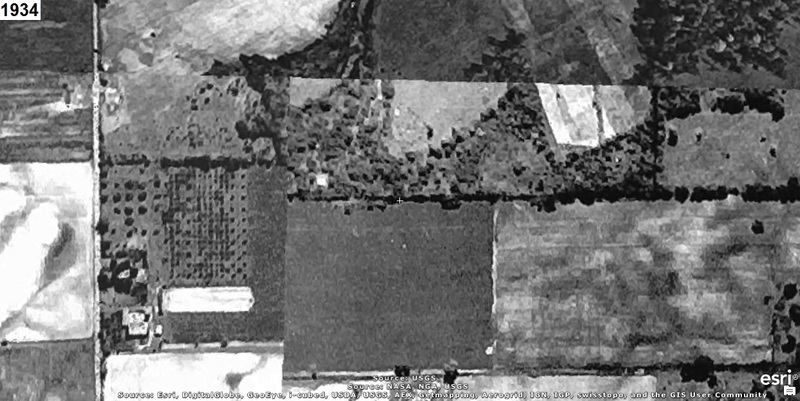 Who can tell us what the area in the aerial photograph(s) below is of? 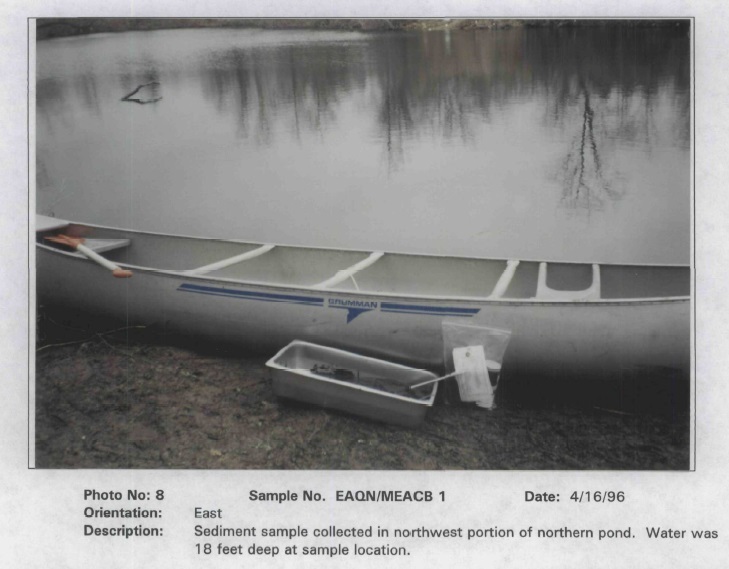 (in Stark County) as investigated, explained, and explored in the SOLUTION for Episode 5. 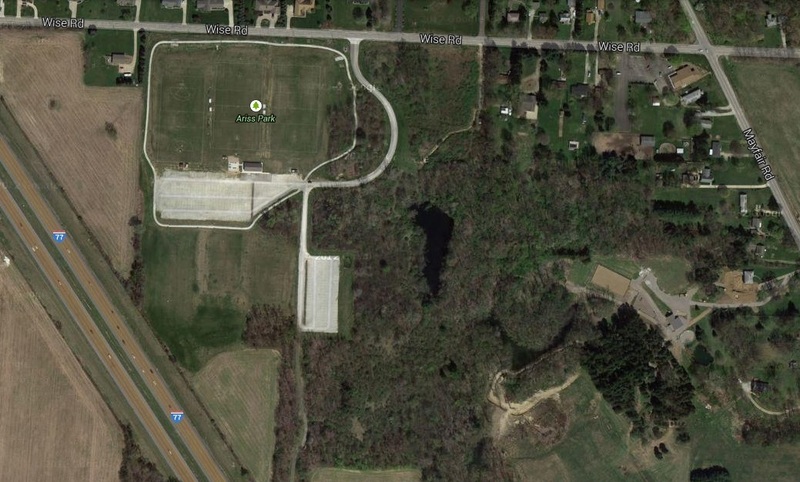 That Uniontown toxic waste landfill has been called the third worst Superfund Site in the entire nation. 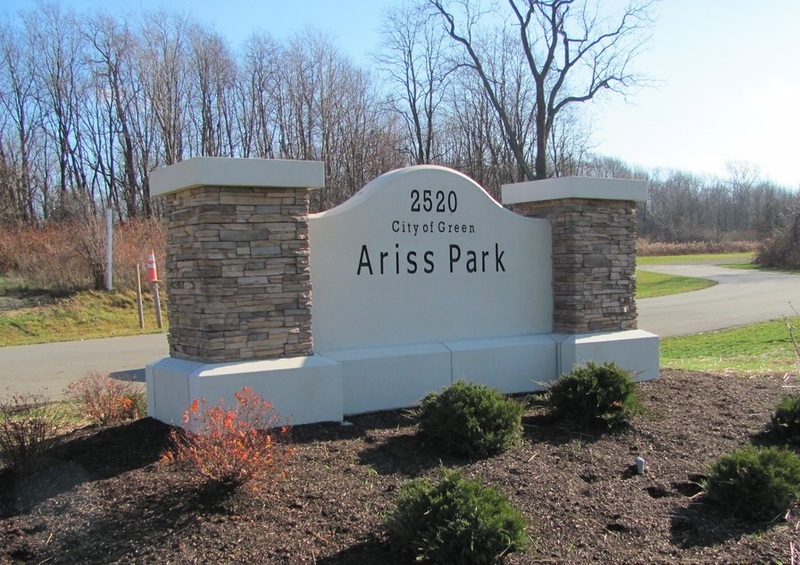 sites served as waste dumps for Akron rubber companies. contamination causing an environmental hazard to the adjacent community and surrounding environment. government. It is often described as the law that keeps citizens in the know about their government. that message but are provided for visitors of this web page. area and are oriented with north to the left (i.e. east is up). 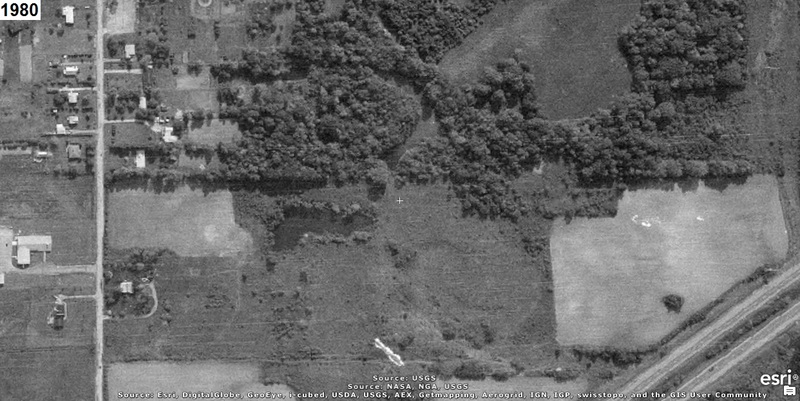 The 1934 aerial photo below shows the area before material was removed or deposited. there and what that material was. I would like the results in an electronic file. FOIA Online (Tracking Number: EPA-R5-2014-004750). wells. This site has been selected for investigation under our Cooperative Agreement with USEPA. Please assign this site an Ohio I.D. number. sediment, and three surface water at or near the Wise Road Disposal site during this investigation. TCL organics (volatiles, semi-volatiles, pesticides and PCB's) and TAL metals. fence to secure the property from trespass. wet and swampy area to the north of the suspected waste deposition area (see figure 1). 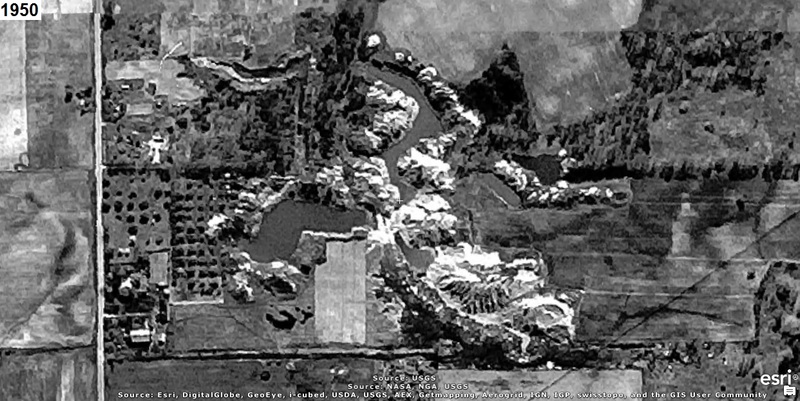 streams (from Akron rubber companies) were dumped over the quarry walls and burned. surface. The site is currently being used for recreational activities. be put back into use. to the west. The site is used as an unofficial recreational facility. drinking water supplies, cancer index and the reference dose (RfD) values. manganese (23.2 - 10,400 ppb), and zinc (15.8 - 1060 ppb). compounds, PCB's, or pesticides detected in the residential well sample analyses. serving an estimated population of 17,000.
contaminates were in the on-site cistern. Section APPENDIX E Photo Log, Photo No: 8 indicates that the water is at least 18 feet deep. dated September 30, 1996, is available in: 05-427358.pdf. 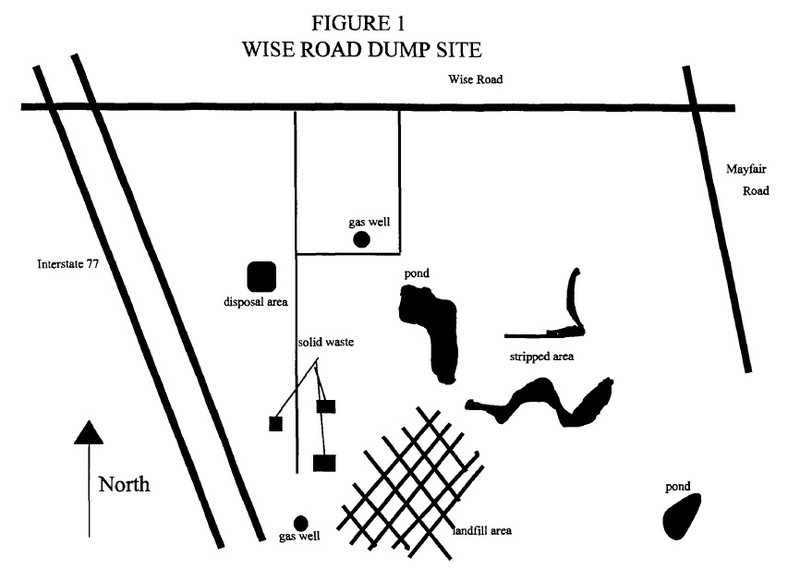 located less than 4 miles from the WISE ROAD DISPOSAL SITE.